With 14 corporate owned locations in the Miami metropolitan area, Sushi Sake is a recognized leader in the asian dining industry and poised for explosive growth in U.S and global markets. We currently offer franchising opportunities for a low initial investment coupled with hands-on training in a supportive environment. Our franchise owners have the opportunity to be part of our proven formula for high-gross sales in a $3 billion industry. Whether you are an experienced restaurateur or a passionate sushi lover with an entrepreneurial drive, contact us today for details about the Sushi Saki franchise opportunity by filling out the form below. At Sushi Sake, we treat sushi as an interactive experience and an art form that goes far beyond traditional sushi rolls. 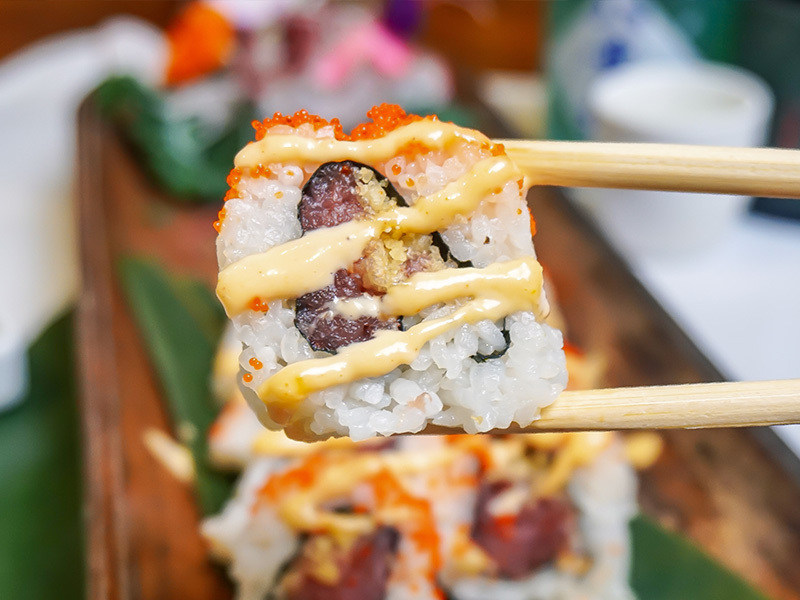 Known for our innovative menu and modern dining atmosphere, Sushi Sake is a neighborhood sushi bar that satisfies our customer’s need for quality Asian dining experiences at an affordable price point. Our flavor-rich sushi rolls with eye-catching presentation include Miami-inspired favorites such as the Calle Ocho Roll: Ham croquettes, avocado, and asparagus topped with plantains and potato sticks served with eel sauce. Another popular favorite is the Miami Heat Roll: Shrimp tempura, cream cheese, krab salad, topped with baked salmon, spicy mayo and topped with crunch and eel sauce. 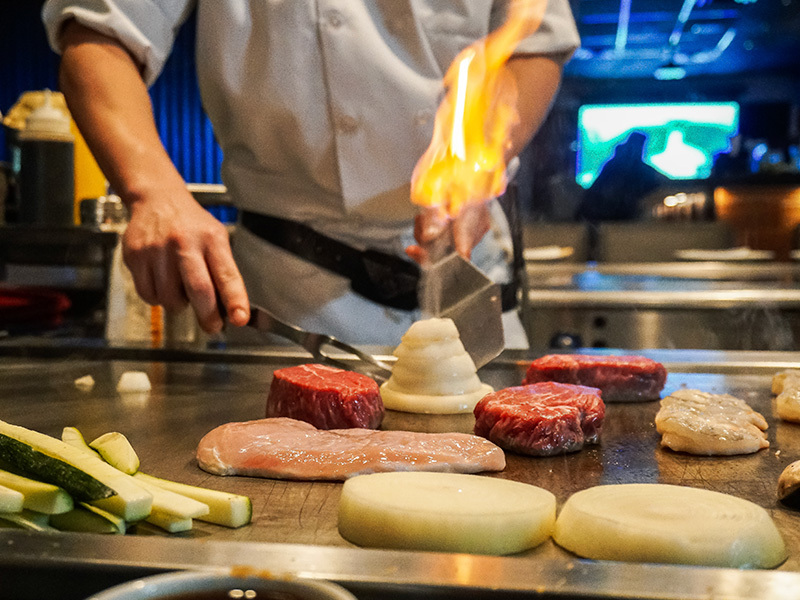 Our hibachi specials include generous portions of made-to-order fried rice as well as steak and seafood platters and noodle dishes. 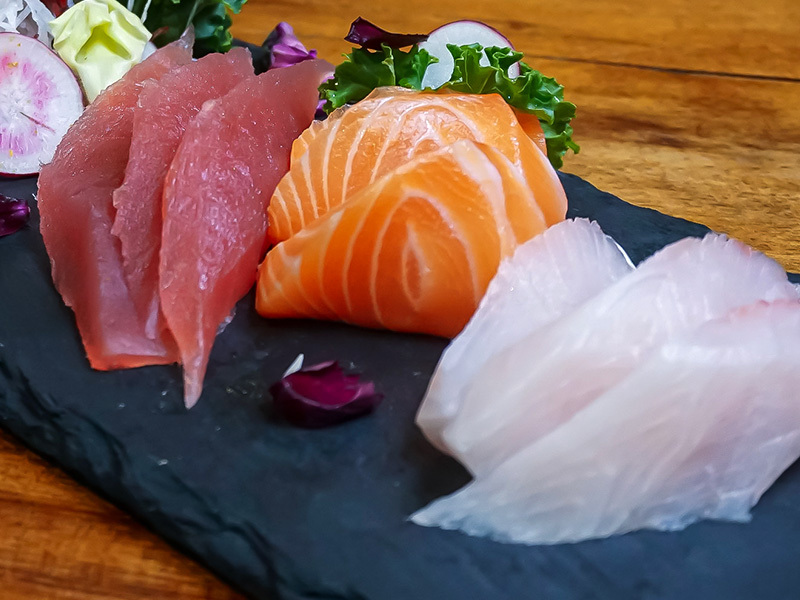 At Sushi Sake we are committed to using suppliers that provide the freshest and highest quality seafood. We also make our own soy sauce and finishing sauces from scratch daily. Our restaurants feature earthy and modern design elements that create a chic yet inviting atmosphere for families and young professionals alike. After more than a decade of growth in South Florida, Sushi Sake is poised to become a widely recognized Sushi franchise in U.S. and global markets. We are offering an opportunity for entrepreneurial sushi lovers to own a franchise with a proven business model that provides ongoing support and training. As Americans seek more adventurous dining experiences, Asian cuisine has become a thriving industry. Over the past five years the industry has grown 3.3. percent with revenue totaling $3 billion. If you’re ready to turn your passion for sushi into a lucrative business opportunity, we want to hear from you. After requesting information from our company, our team will walk you through the process of becoming financially qualified and finalizing the franchise agreement. The average timeline for opening a location is six months to a year. We’re eager to meet people who share our values and can’t wait to hear from you.